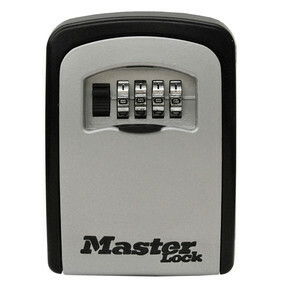 Key Safes Leave Your Property Vulnerable. This is what happens when you clip a key safe to a cheap doorknob. I just got back from rekeying a mansion that I rekeyed a few years ago. The reason they paid me over $300 to rekey again so soon is because contractors left a “key safe” hanging on a doorknob at the side of the house in an alleyway, and somebody came along with some boltcutters and cut that lock off and took it with them. 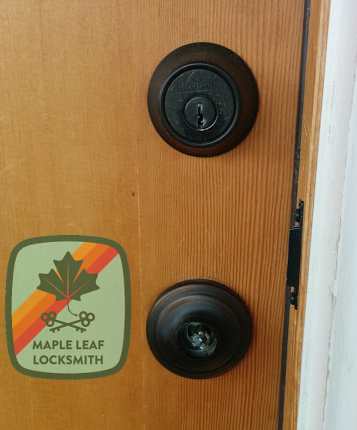 There is only one reason to cut one of these locks off, and that is to take the lock home and open it to get the key out so that you can unlock the door it is attached to. 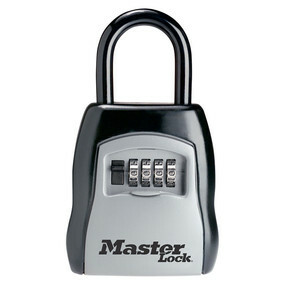 A key safe that can be removed with $20 boltcutters in moments. Not very secure. It is pretty stupid to put these on your house in the first place. Anybody with $20 can silently remove one of these in moments and take it home to work on it with whatever tools they have in the privacy of their garage or crack house etc. If they have an angle grinder or sawzall they could have your key thirty minutes to an hour after they remove the key safe from your property. Then some guy has a key to your house! More than 50% of the time residential break-ins are due to the thief having a key. If a contractor says he wants to put one of these on your doorknob, emphatically tell them no. I am surprised that contractors would use these in the first place, because they could be liable for damages if their key safe is the reason that a house was broken into and property damaged or stolen or worse somebody attacked. A wall mounted key safe. Much safer. Can be bolted down or anchored in concrete. Can be hidden somewhere. The best option is to use an electronic lock. A decent Schlage electronic deadbolt now costs $100 at local hardware stores. A second option is to use a wall mounted key safe. No shackle to cut off. Only way to get it off is to pry really hard for a long time. Another good option is to use SFIC locks if you can afford them. Give me a call if you decide that you want a more secure option than dangling a key in front of the noses of would-be thieves.